The latest Fusion family of processors currently available in the market from AMD is the Llano series of APUs, but a recent leak has revealed more coming in the next few years. German website 3dcenter.org has revealed some eye-catching slides of upcoming Fusion cores planned for 2012 up to 2013. 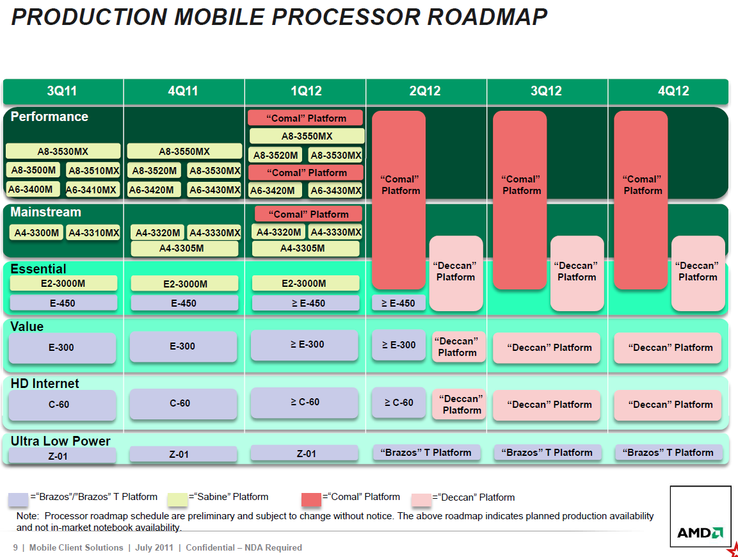 According to the source, we should begin seeing Fusion cores codenamed “Indus”, “Hondo”, “Jaguar”, “Steamroller” and among others by 2013. 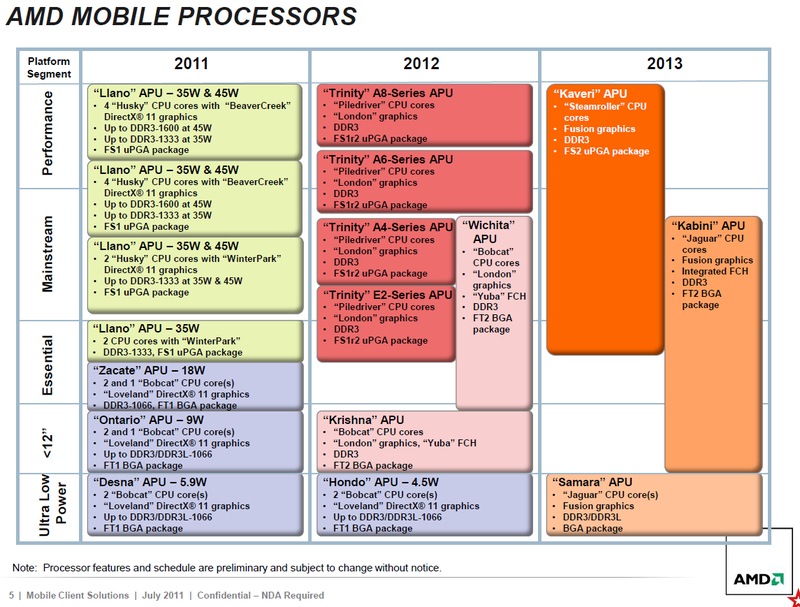 PCs with “Trinity” and “Wichita” APUs should begin appearing in market by next year with brand new integrated “London” graphics processors. ULV versions, “Krishna” and “Hondo”, are expected to come before the end of next year as well. As for 2013, AMD is supposedly planning “Kaveri”, “Kabini” and “Samara” APUs for performance, mainstream and ultra-low power systems, respectively. These will supplant the “Trinity”, “Wichita” and “Hondo/Krishna” families of 2012. 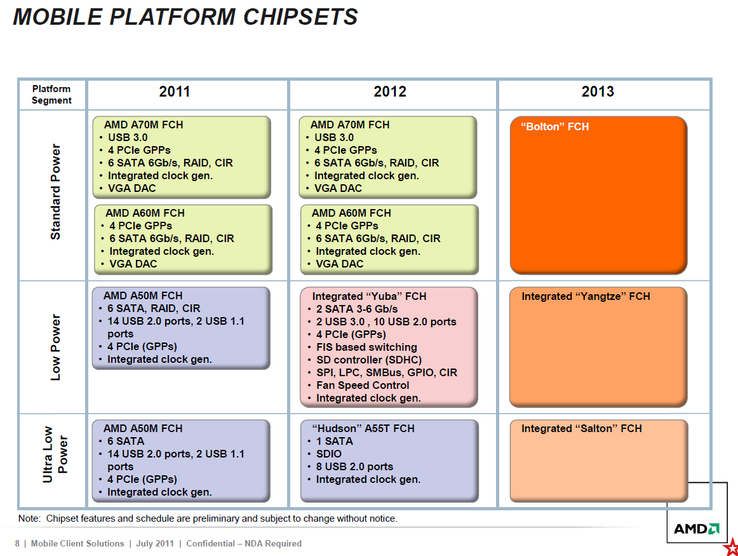 These new 2013 processors will use “Steamroller” or “Jaguar” CPU cores, although the exact type of integrated Fusion graphics is not yet listed. 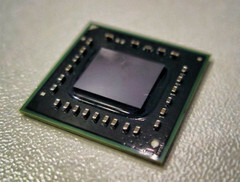 For the mobile platform, “Bolton”, “Yangtze” and “Salton” chipsets are in the works, but nothing but the codenames themselves are provided in the leaks. 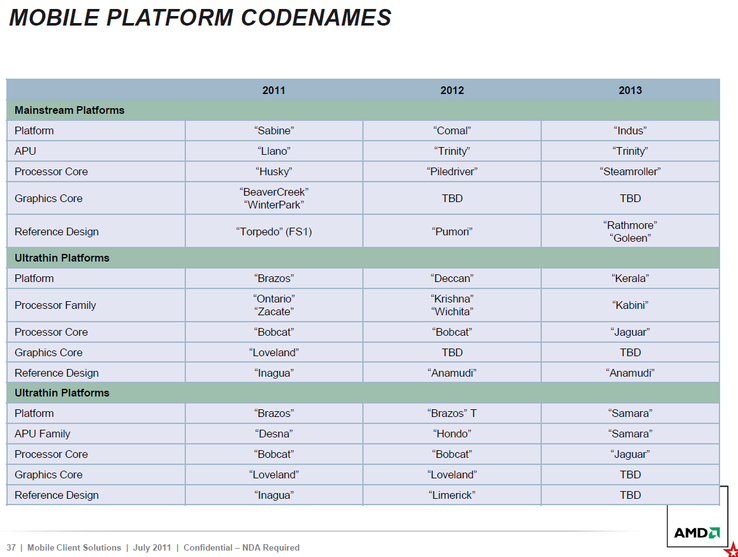 With so many codenames under AMD’s sleeve, we suggest checking out the images below for an easier understanding of what to expect in the next couple of years. With Intel’s revamped Atom lineup set to appear, it will be interesting to see if AMD can maintain its momentum with the Fusion processors.